Hi guys! 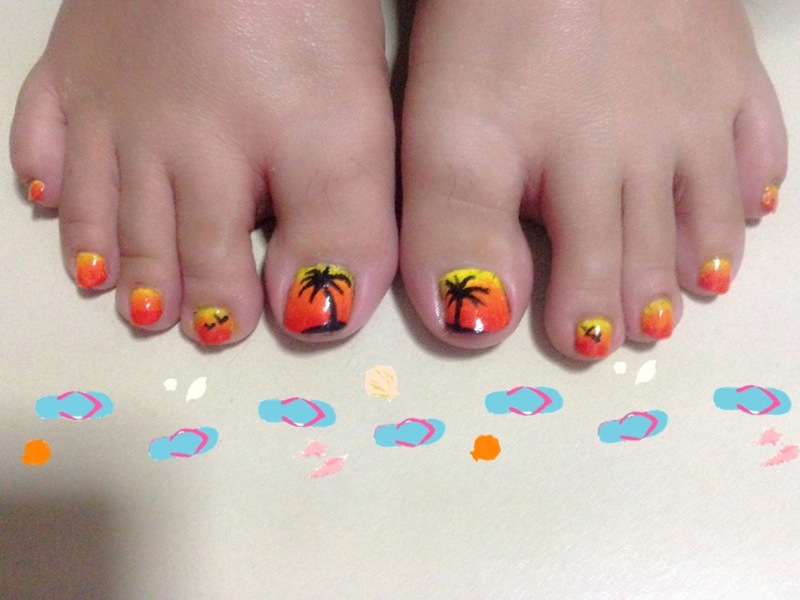 Been a while since i last show you some cute toe nails design! I youtube’d some video and thought that this is pretty easy to do even though I might not have all the colours! Are you able to tell what color I’d used in this nail art? In this nail art, the only polish color I used was a white polish from China Glaze (white on white). The rest of the colors? Acrylic paint of course! Yellow… Orange… Red.. & Black! To get this effect, all u need is a makeup sponge and use the sponging method to do it! I’ll include a video shortly at the end of the post where you can learn and DIY! My nail art was also inspired by the video from SimpleNailArtDesigns! See! It’s beautiful! 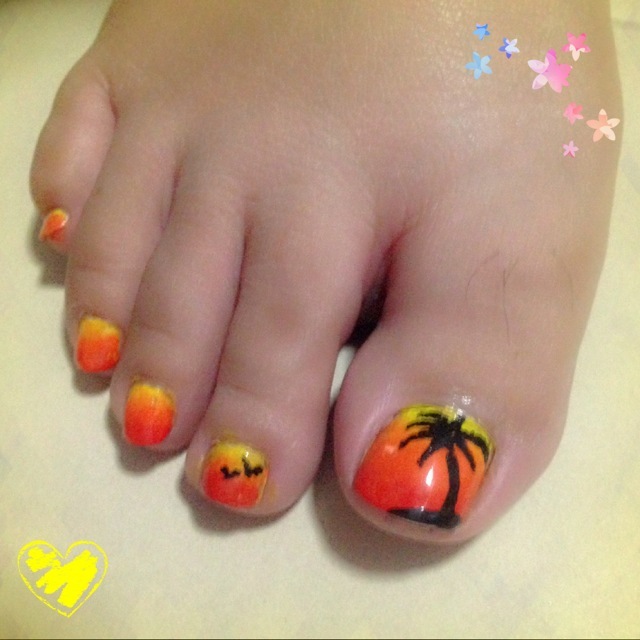 If i’m going holiday with this nail art, it would makes it PERFECT!! 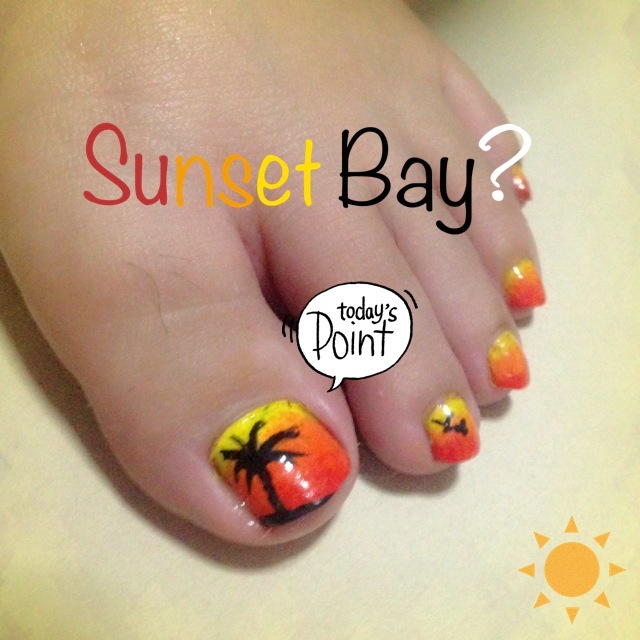 Beach~ Resort~ Sunset~ Ahhhhhh…. Why am I still sitting here? So without further ado.. Here’s the video tutorial by SimpleNailArtDesigns! This entry was posted in .China Glaze, 70255 White On White, Nail Accessories, Nail Art, Tutorial Video and tagged Acrylic paint by Tempted to Love. Bookmark the permalink.